Optimism and cardiovascular health may be linked, according to a study on a large group of Hispanic/Latino adults presented at the American Heart Association’s Epidemiology/Lifestyle 2016 Scientific Sessions. Researchers analyzed a study of 4,960 Hispanic/Latino adults, ages 18 to 75 years. An optimism score was calculated that ranged from six to 24, with higher scores indicating greater levels of optimism. Researchers used American Heart Association measures of cardiovascular health, which included diet, body mass index, physical activity, cholesterol, blood pressure, fasting glucose, and smoking status, to group people into categories of poor (0-7 points), intermediate (8-11 points) and ideal (12-14 points). They found that 9.2 percent of the people studied had ideal cardiovascular health. Compared to the least optimistic group, those with moderate levels of optimism were 61 percent more likely to have ideal cardiovascular health and 37 percent more likely to have intermediate cardiovascular health. This study offers early evidence of a potential association between optimism and cardiovascular health among Hispanic/Latino adults, according to the authors. Rosalba Hernandez, Ph.D., Northwestern University, Chicago, Illinois. Note: the actual presentation time for this abstract is 11 a.m. MT on Friday, March 4. 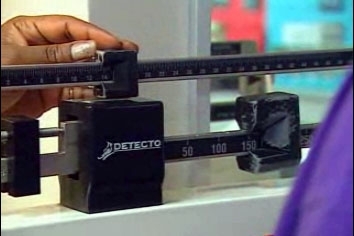 People who are trying to lose weight and frequently weigh themselves report feeling equipped to handle certain situations that could trigger them to overeat, according to a study presented at the American Heart Association’s Epidemiology/Lifestyle 2016 Scientific Sessions. Researchers analyzed information from a 12-month behavioral weight-loss intervention study, which grouped 148 people according to self-weighing patterns: high/consistent, meaning they weighed themselves at least six days a week consistently throughout the period; moderate/declined, which means they decreased their weigh-ins from 4-5 days a week to two days per week; minimal/declined, decreased their weigh-ins from 5-6 days per week to 0 days per week. The study also assessed the participant’s self-efficacy at six and 12 months, where they rated their confidence to avoid eating under various conditions, including when they had negative emotions, availability (when food is available), social pressure, physical discomfort and positive activities. The higher the total score and score for each condition, the greater their self-efficacy rating. The high/consistent group had significant increases in all 5 conditions and the total score. The other two groups had no change over time. Yaguang Zheng, Ph.D., M.S.N., R.N., Connell School of Nursing, Boston College, Chestnut Hill, Massachusetts. Note: The actual presentation for this abstract is 4:30 p.m. MT on Friday, March 4. Researchers analyzed a study of more than 6,000 caregivers and non-caregivers and compared the two groups for stroke risk. Caregivers were asked about their relationship to the care recipient and the amount of perceived physical and mental strain they associated with that care, rating their perceived strain as none, some or a lot. During an average 8.5-year follow up period, 3.73 percent of caregivers 3.67 percent of non-caregivers had a stroke. Caregivers as a whole did not have a notably higher risk of stroke compared to non-caregivers. Strained spouse caregivers who reported high or moderate strain had a 95 percent higher risk of stroke than matched non-caregivers. Targeted support to reduce caregiving strain, particularly among spouse caregivers, might be an important intervention, according to the authors. Sindhu Lakkur, Ph.D., University of Alabama at Birmingham, Birmingham, Alabama. Note: The actual presentation of this abstract is 4:30 p.m. MT on Friday, March 4.